In central Edinburgh, Sherwood Guest House provides free Wi-Fi and en suite rooms with flat-screen TVs, on Minto Street. Edinburgh's Royal Mile is just 1 mile away. Located in central Inverness, in the capital of the Highlands of Scotland, Royston Guest House offers bed and breakfast accommodation, ample free private parking and free Wi-Fi. 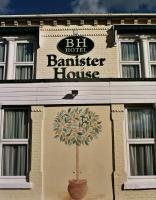 The Banister House Hotel is a three floor property situated in the city of Southampton one mile from the city centre and the West Quay Shopping Centre. Southampton Airport is five miles from the hotel, with an approximate driving time of 15 minutes. Hotel Features. Kings Head Guest House, in the east end of London, is a 5-to-7-minute walk from Stratford Rail/Underground Station (Central Line) with its excellent transport connections. Stratford is the site of the 2012 London Olympics and is 6. 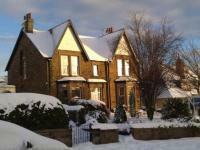 On the promenade in Edinburgh's Portobello district, this Victorian town house has free Wi-Fi and parking. The city centre is a 15-minute bus journey away. 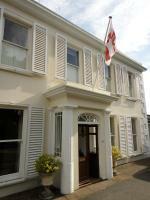 Lyttleton Lodge is a traditional Victorian guest house located in Cowley, Uxbridge, close to Heathrow Airport and local attractions. The welcoming guest house caters for all your needs. The spacious rooms include LCD TV's, Wi-Fi and luxurious bathrooms. Near Brunel University and the Stockley Park Golf Club and you can easily reach Uxbridge town centre via the Piccadilly and Metropolitan tube lines.